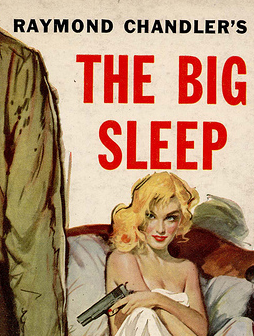 June is a good month for noir lovers, what with TCM's Friday nights with Eddie Muller and a great line-up of noirs. Yeah, some we've seen many times -but that's because they're so good ! Others are more rare offerings. Yep, MissW. I'm lookin' forward to these films, also. However, much like the malapropism of, "I could care less", wouldn't the proper use of the phrase you're attempting to convey here be, "Can(not "can't") hardly wait"? Well, Dargo baby, I'm sure you know that I know the expression is not grammatical. And it would be a lot less fun to use if it was- in fact, it wouldn't exist. "Can't hardly wait" is a more colourful thing to say than the more correct "I can't wait." I even acknowledged my reason for using the "improper" version on my post. Aint nuthin wrong with a few double negatives now and then. I'm sure some of those shadey film noir characters used them from time to time. >Aint nuthin wrong with a few double negatives now and then. I'm sure some of those shady film noir characters used them from time to time. Now what are you talkin' about here, MissW. Why, Dan Duryea ALWAYS sounded just like Professor Henry Higgins in these kind of movies!!! Everybody wants to go to Heaven, but don't nobody wants to die! 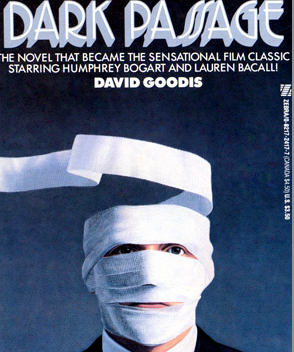 In response to those fabulous noir book covers, noir fans might like to know about a lavish two volume set of books, The Dark Page: The Books That Inspired American Film Noir, and The Dark Page 2, that feature full page (9.5" x 12.5") color scans of hundreds of first edition dust jackets of novels that were later adapted into movies. They're published by Oak Knoll Press and written by Kevin Johnson, a used and rare book dealer in Baltimore who's also a huge fan of our favorite film genre. You have to see these books in order to fully appreciate them, but the link below will give you a taste. They're not cheap, but they're well worth it in the long run. And Andy, I bet those luscious noir books you're talking about just wouldn't "work" on a kindle. Even if they were available on one. Hey, all 3 early movie versions of THE MALTESE FALCON are going to be on tomorrow night, including the awful Bette Davis version with the screenplay all messed up. Right, I just checked the schedule. I hadn't looked very carefully before, and had taken for granted it was the well-known John Huston version they were showing at 8. But it's the 1931 one, which I've never seen. I doubt it's as good as its 10-years-later counterpart, but I've always wanted to see it. I can watch the 1942 one anytime, I own it. But the other version, the one you said was so bad, 1936, with Bette Davis, isn't on til some ungodly hour like 3 or 4 in the morning. *Satan Met a Lady* . In looking over the choices of Herr Muller, I'm not really all that jazzed about anything outside of the alternaversion of The Maltese Falcon we're getting tomorrow night. Deadline at Dawn is a Clifford Odets joint. I don't care for Clifford, nor would it seem does Muller as he's rather critical of this movie and (the mercifully not included in this festival) Clash By Night in his book Dark City. Will be inn-teresting to see his comments before and after the film. City Streets looks intriguing. Think After the Thin Man is a waste of air space WHY is this on in Prime Time and Satan Met a Lady on at, what? 4:00 am? The Glass Key is always welcome. I'd rather The Burgler was on at 8:00, but I'm inn-terested in it. I *hated* the book Shoot the Piano Player is based on. Would've liked to've seen some neo- noirs like The Long Goodbye (1973) and Farewell My Lovely (1975) on the list, heck, I still got a sweet spot for LA Confidential ...and I'm not nuts about the 1991 film adaptation of The Grifters, but if you're doing a festivale du writers du roman noires, you *must mention Thompson* and it would've made a better inclusion than, say, The Postman Always Rings Twice (bitchy eyeroll) again. Thanks, Andy, for providing that great link. I wanted to be clear about Jonathan Latimer, however. The selections for him-- NOCTURNE and THEY WON'T BELIEVE ME-- are not based on novels, to my knowledge. Latimer wrote the screenplay for NOCTURNE based on an original story by Frank Fenton and Rowland Brown. And he wrote the screenplay for THEY WON'T BELIEVE ME based on an original story by Gordon McDonnell. You're thinking along the same lines I was. TCM seems to be using Muller to trot out a lot of the usual suspects. 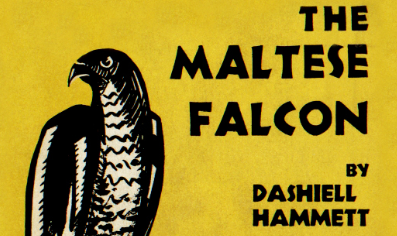 Muller actually didn't pick the 1941 version of THE MALTESE FALCON. He picked the 1931 version, but TCM is doing an add-on after his selections air. I have been combing through the IMDB for all six of these noir writers. And I am going to profile some of their other films that should have been selected, and probably would have been selected if TCM had allowed Muller to go outside the box more. All of his films are being shown. What's the problem with When Tomorrow Comes playing on TCM? I've been wanting to see that film for decades! I dont think it's ever been shown.Gag. I just see the problem. It's Universal. I was thinking it was Columbia. Sad. When I got my first look at the June schedule a few months back (thanks, Calvin ), I was puzzled by why City Streets and the earlier Falcon incarnations were being included in a noir feature, but upon realizing that it was a spotlight on writers whose works inspired famous noirs, it made sense. And I will take any excuse, as flimsy as you please, to see Sylvia Sidney show up on TCM! Having said that, it would've been a treat to have the 30s version of The Glass Key accompanying the Ladd-Lake version. Has anybody around here seen this one? Loved the book covers, TopBilled! 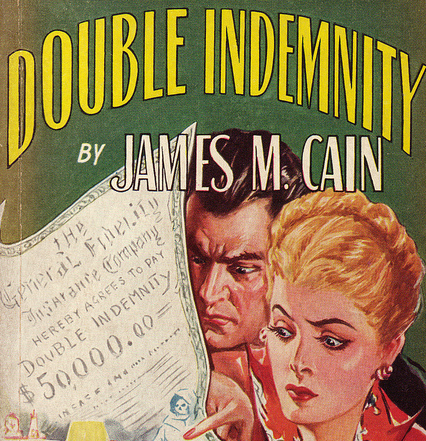 Dunne and Boyer worked together twice in 1939 and the second was a James M. Cain adaptation?!? You guys just blew my mind! Some of these aren't as good, of course, as Ye Standardes, but aren't we all a leetle tired of Out of the Past by now? Yeah, and as far as I know it's never been shown on TCM! It's always a debate as to what "counts" as noir, but I think Hangover Square can fit the bill. Despite the Victorian setting, it's a dark tale - both visually and thematically. And what a memorable swan song (sadly) for the great Laird Cregar. 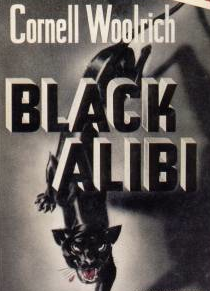 Reign of Terror aka The Black Book is another great example of a period-piece noir (at least to my satisfaction). French Revolution, in its case. Amazing cinematography in that one! You can't hardly wait, but I can hardly wait. I love your screen name, too. But cut poor Brigid a little slack - she's under a lot of pressure. And at least she didn't tell Spade and Archer she was "Iva Fakename". Certified Film Noirs ©. Accept no substitutes.